When everyone in an ensemble feels connected and committed to the collective result, the music created together is nothing short of amazing! You don't need to wait for a tour to develop that sense of community-get started in your next rehearsals. 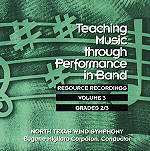 This 48-page resource has fun and practical team-building activities geared specifically for secondary bands, choirs, and orchestras. 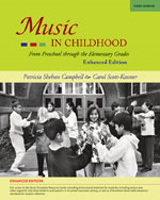 Contents: Practical Musical Theory; Hierarchy of Thinking Skiills; Activity and Assessment Design; Music Vocabulary Activities and Assessments; Rhythm Activities and Assessments; Duplicable Rhythm Forms; Musical Terms and Symbols Reference Center. 56 pages. 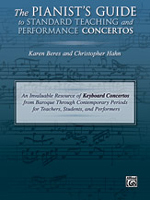 Performance Assessment in Orchestra by Wendy Barden makes assessment easy with 48 pages of practical, proven techniques and customizable forms that will help teachers engage and motivate students, measure and transform learning, and maximize the effectiveness of every rehearsal. The result: skilled, energized musicians and better bands and orchestras! Move students beyond practice calendars that count only minutes and guide them to think about their learning every time they play their instrument. 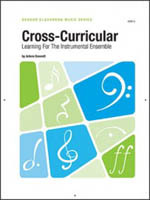 This 56-page resource has seventeen duplicable forms to help students reflect on their work throughout theyear - practicing outside of class, connecting rehearsals to independent practice, following concerts, and at the end of the year. 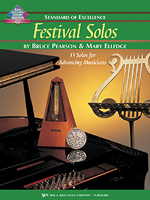 The Festival Solos Complete Assessment Manual by Wendy Barden and Bruce Pearson is a companion to Festival Solos Books 1, 2 and 3 and includes rubrics to support the learning process and assess progress. The rubrics and other, included resources connect to the National Core Arts Standards, and help students thoroughly prepare and show their best work! Supports Festival Solos, Books 1, 2 & 3. 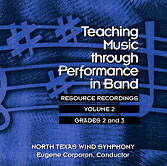 Conducting, Rehearsing and inspiring - teaching music is filled with promise both for the teacher and the student. 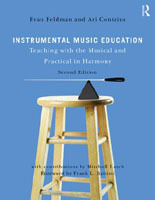 In Teaching Music with Promise, Boonshaft supplies stories that the reader can translate to their daily life and practice. 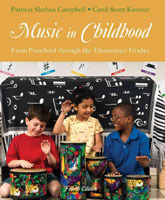 Like his first critically acclaimed international bestseller Teaching Music with Passion, this new book from Peter Boonshaft is even more poignant and powerful. Called one of the most exciting and exhilarating voices in music education today, Boonshaft'slatest work is both inspirational and instructional and will definitely warm your heart and transform your teaching. The Application of Body Mapping to Music.